Webster definition of christening: the ceremony of baptizing and naming a child. First known use in the 14th century. A child's first communion, the second of seven sacraments, is a hold and cherished event in a child's life whereby they recieve the Sacrament of the Eucharist for the first time. 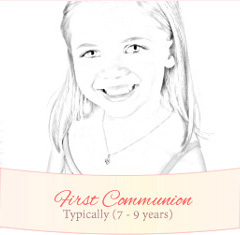 The first communion also called First Eucharist typically takes place when a child reaches the age of seven or eight - and when a child completes all first communion requirements set forth by his or her church for first communion. To recieve the first communion a child must be at least seven years of age - or at an age (seven or greater) where they are able to understand the meaning of communion. A child must also have been baptized - and must have recieved the Sacrament of Reconciliation, also known as First Penance. This is where a child confesses his or her sins for the first time. 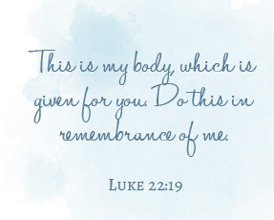 Once a child has a clear conscience they are able to receive the body and blood of Jesus Christ. 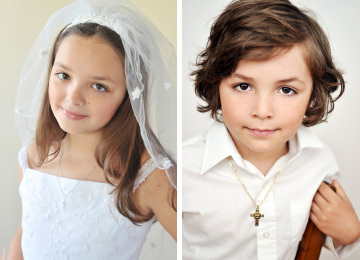 Children typically wear all white to their first communion. Family and friends typically give religious gifts with meaning at celebrations given before and after a child's first communion. 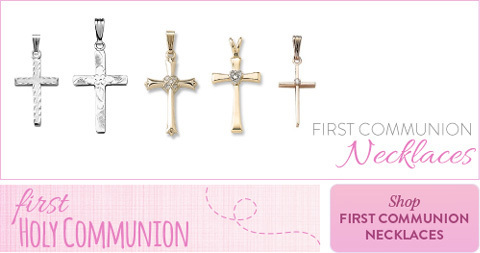 Add your choice of communion charms personalized just for her. 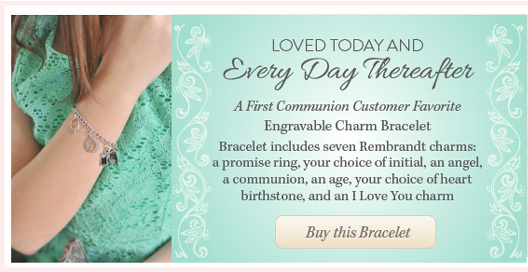 Customers love our exclusive Grow-With-Me® resizable bracelets. 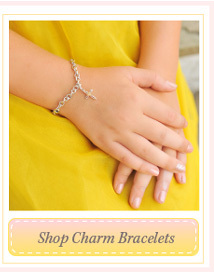 These beautiful keepsake bracelets are created to your specifications in our Frisco, Texas location. Made with exquisite cultured pearls and hand-faceted genuine gemstones, these bracelets are heirlooms to treasure. 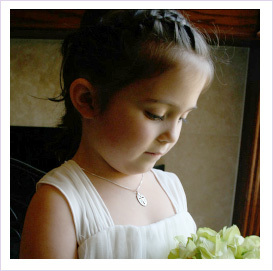 All Grow-With-Me® bracelets can be shipped back to us to be resized as your child grows so she can wear her adorable keepsake throughout her entire life - from baby to bride. Find the perfect bracelet size - and learn more about our Grow-With-Me® bracelet resizing services for these adorable and exclusive custom bracelets. 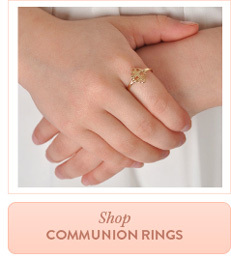 Godparents and Sponsors for the First Communion? 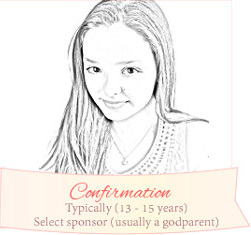 A godparent or sponsor is not required when a child receives their first communion - however a properly chosen godparent should be by their godchild's side when their godchild recieves their first communion. 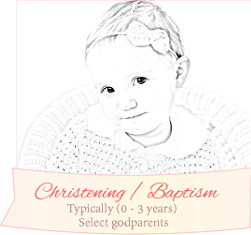 Godparents are carefully chosen when a child is christened (i.e., baptized) and a sponsor (sometimes a godparent) is selected when a child prepares for confirmation. 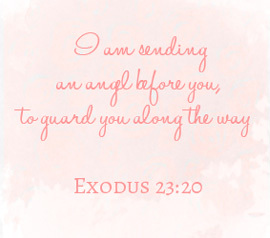 A parent of guardian should select a godparent that is able to join their child on their journey of faith. A godparent should be of the same faith, live a faithful life, and be able to teach and mentor their godchild throughout life. A godparent is a role model, a mentor, and a lifelong partner in faith - A person that should be chosen with care.